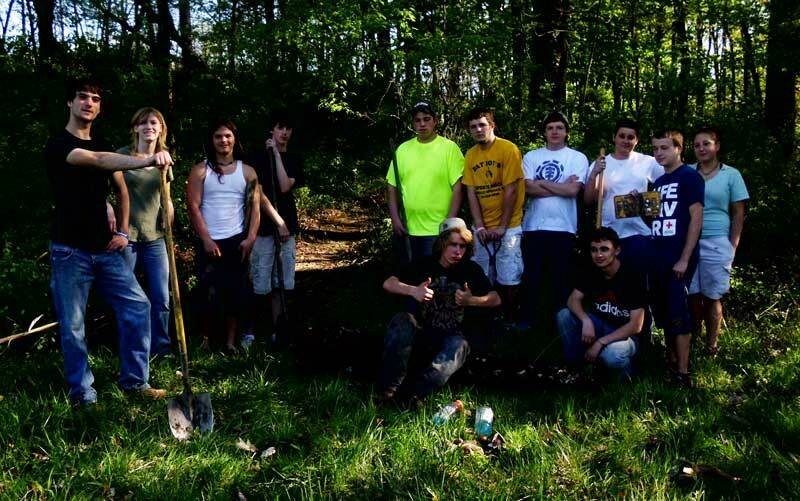 Berkeley Springs High School was awarded 150 riparian trees through WV Project CommmuniTree in Spring 2013. 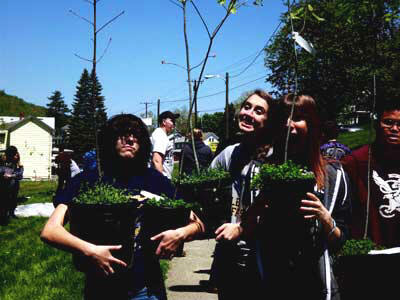 These trees were planted throughout the campus as well as at the County Board office. 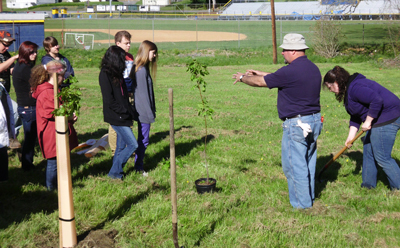 On April 25th Cacapon Institute provided in-class lessons to Mr. Chenoweth's science classes on the benefits of trees, especially their ability to mitigate stormwater runoff pollution. 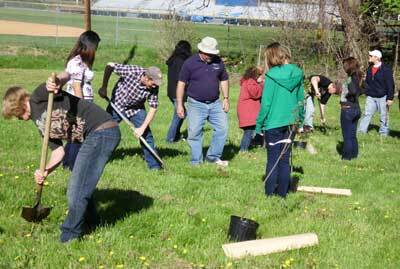 On May 2nd, 60 students, two teachers, and two grounds maintenance personnel volunteered to help plant the trees. The students came from Ms. Jenkins & Mr. Chenoweth's science classes. Each class participated for ~45 minutes each. Students were planting from 9:00 till 2:30 with a break for lunch. Each class was given a planting training that included the benefits of trees and how to properly plant a tree. Great care was taken to plant the trees with root collar showing. Trees and tools were delivered by Cacapon Institute. CI purchased mulch locally during lunch and in the afternoon students mulched all of the trees. The weather was sunny and mild. The soil was rich sandy loom and ideal with one exception. One area, the northern most group of trees between the ball field and Run, was old rip-rap with cobble and bolders just below 6-12" of soil. This was difficult digging up adequate soil was available once the stones were removed from the planting holes.